About Granite Creations, Inc. - Specializing in marble and granite across the Tucson, Arizona valley. 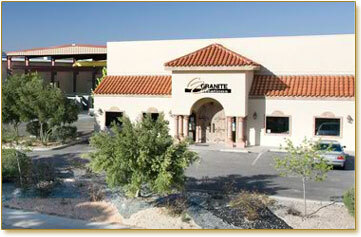 Granite Creations, Inc. is a highly respected, Tucson, Arizona-based company specializing in marble and granite. Our products include kitchen and bath counters, steam shower enclosures, bathtub decks, entry doors, granite sinks, coffee tables and conference tables. Since 1994, Granite Creations has been serving Tucson, AZ as well as its surround cities. Our work can be found in almost every major resort in Tucson, high-end custom homes and kitchen remodels. We have excellent references, from interior decorators and architects to general contractors and homeowners. We pride ourselves in timely scheduled installations and customer satisfaction. We are here to help you create the best possible product for you or your client. In keeping with our reputation to offer the best to our clients, Granite Creations, Inc. is offering the dealer program to enable kitchen and bath dealers the opportunity to introduce granite counter tops to their product line. After years of experience and extensive research, we have decided to branch out from fabricating 3/4" stone to 1 1/4" stone (3cm). This research has proven that the thicker (3cm) stone reduces the chance of breakage and related problems sometimes associated with 3/4" stone. Its strength allows you the opportunity to eliminate sub-tops and corbels for over hangs up to 16".